A question for all you motivators out there: Have you been bringing a high level of leadership and awesomeness to the table everyday while attending FSU? 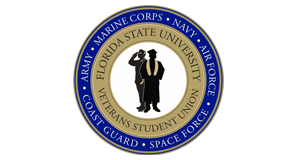 Are you looking for a new challenge to enhance yourself and the mission of veterans at FSU, in our community, even nationwide? Join the ranks of the best student veterans and veteran supporters in the nation (Seriously, we are the best. Just ask Student Veterans of America.) and continue to show the nation why we are the most veteran friendly school in the nation.